Missouri mining and metal production started over 300 years ago in the resource-rich region of Southeast Missouri. Today, Doe Run continues the Missouri mining tradition. In this region, we manage one of the largest lead mining districts in the world and one of the largest single-site lead battery recycling facilities. This region is a critical link in the lead metal supply chain, providing resources for essential products, like car batteries, construction materials and even that apron you wear when getting dental X-rays. These industries spurred the growth of Missouri communities, like Park Hills, Bonne Terre and Viburnum. In fact, Doe Run’s predecessor companies played an important role in building the towns and providing community support and continuous, although modified, employment during the Great Depression when many other companies closed operations. 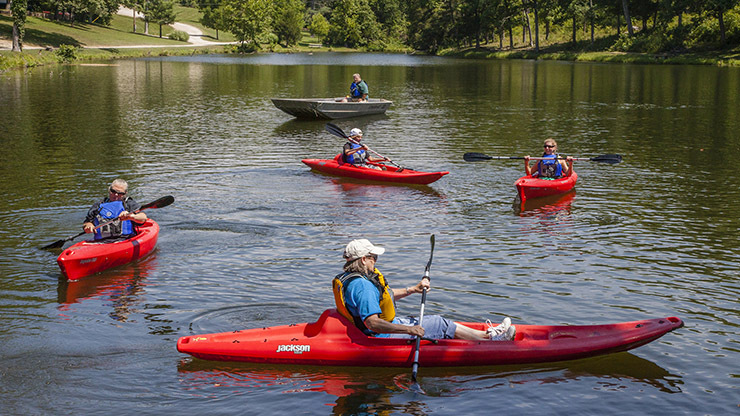 Each year, Doe Run contributes to the $1.5 billion impact mining has on Missouri’s GDP. This includes 1,200 high-paying mining and manufacturing jobs, and filling our supply chain with products and services from Missouri companies. Today, we ask citizens in our communities about the challenges their communities face and the role Doe Run can play in addressing them. Recent feedback included jobs capable of supporting a family, education to prepare residents for future jobs, and health and safety. That’s why Doe Run’s community support is invested in those areas. Our wages are much higher than average Missouri wages. We regularly invest in our local schools with a focus on math and science education, as well as provide scholarships and internships for students. We support important services, such as hospitals and fire departments. And, our employees deliver Minerals Education in area classrooms and at community events. 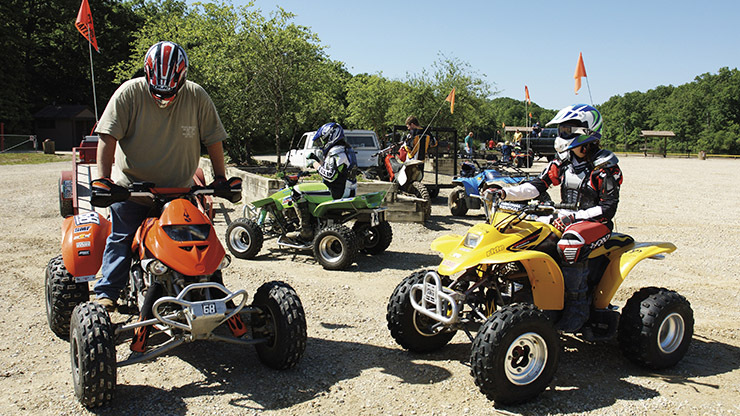 Since 2005, Doe Run has co-hosted Fall Rocks, a family-friendly educational event at the Missouri Mines State Historic Site museum in Park Hills with the Missouri Department of Natural Resources. 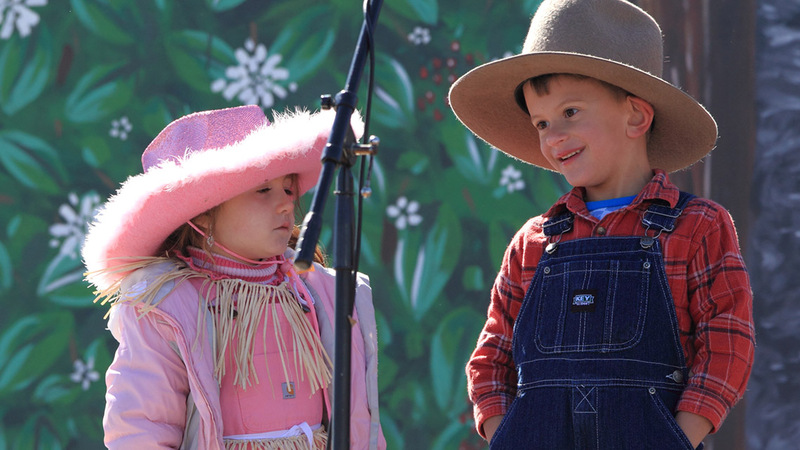 Doe Run also has celebrated Missouri’s rich mining history in Viburnum during the annual Old Miners’ Days festival, since 1986. Visitors learn about the history of mining and experience what mining is like today. 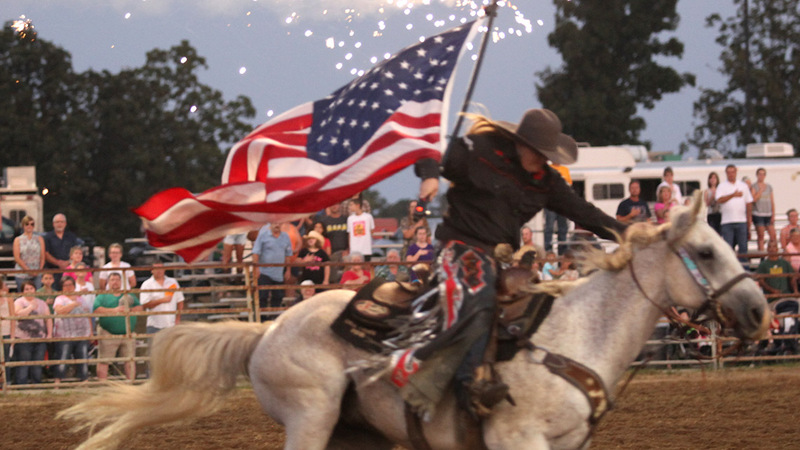 We help sponsor the annual Salem Rodeo each fall, bringing the excitement of barrel racing, steer wrestling, bull riding, and special children’s events to the local community. 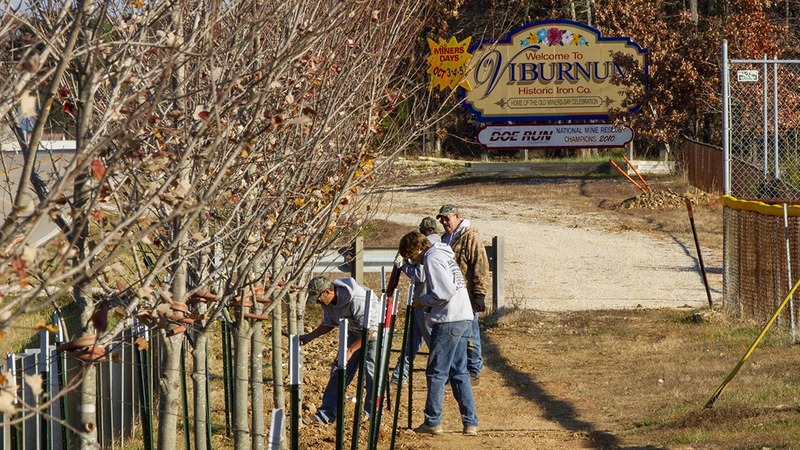 Doe Run supports Herculaneum’s Tree City USA designation by donating trees to the community every year since 2009. We planted hundreds of trees in the community, supporting Herculaneum’s national status. 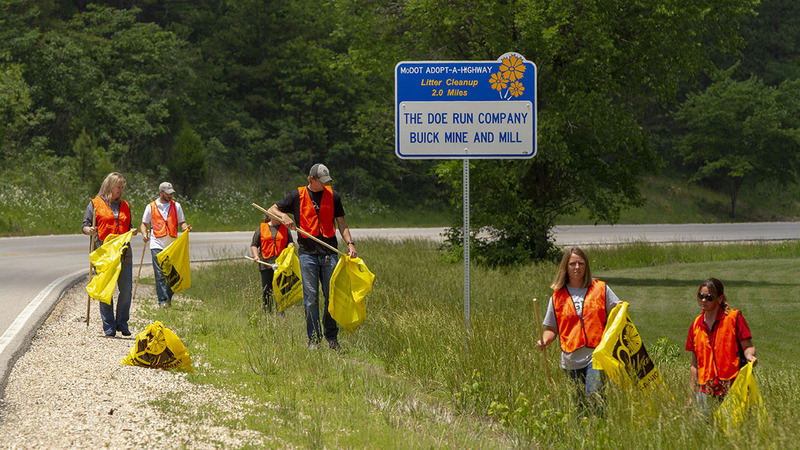 Our employees help keep Missouri’s roadsides clean by sponsoring several miles along Highway KK and Highway 32 near our operations. We are proud of the communities in which we live and work. Doe Run and our dedicated employees invest in our communities to improve the quality of life for everyone in our region. Doe Run and its divisions invest in educational success, including donations to organizations like Project Lead the Way in the Valley R-VI school district and scholarships at Mineral Area College, Missouri University of Science and Technology (Missouri S&T) and Southwest Baptist University. We give employees time to share their expertise to support local schools, including teaching students about the importance of minerals to meet classroom mineral education curriculum requirements, serving on advisory boards for Missouri S&T, and making donations and assisting with school “Backpack” programs that provide much needed nutritional support to students on weekends. Learn more about Minerals Education for K-12 students. We invest in vital emergency services, including the Viburnum Emergency Response Team, the Dent County Sheriff’s Department, the Quad County Fire Protection District and the Herculaneum Fire Department. Functioning infrastructure is vital to any community, and particularly important to Herculaneum as we work with the city’s leadership to attract new business to the former smelter site. In 2009, we donated the right-of-way section to the M.R. & B.T. Railway Memorial Bridge in Herculaneum. The bridge supports economic development along the riverfront. 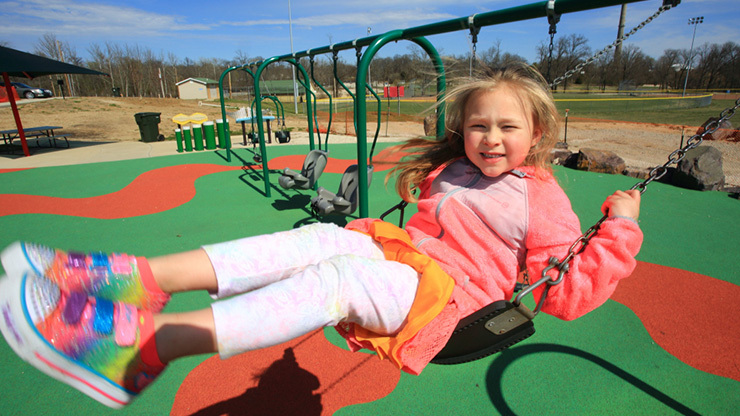 Our remediation efforts also paved the way for projects like Kade’s Playground in Herculaneum, an all-inclusive playground accessible to children of all ages and abilities. Each year, Doe Run contributes to the $1.5 billion impact mining has on Missouri’s GDP. This includes 1,200 high-paying mining and manufacturing jobs, and filling our supply chain with products and services from Missouri companies. In fact, 42 percent of supplier spending supports state vendors. Visit our Economic Impact page to learn more.